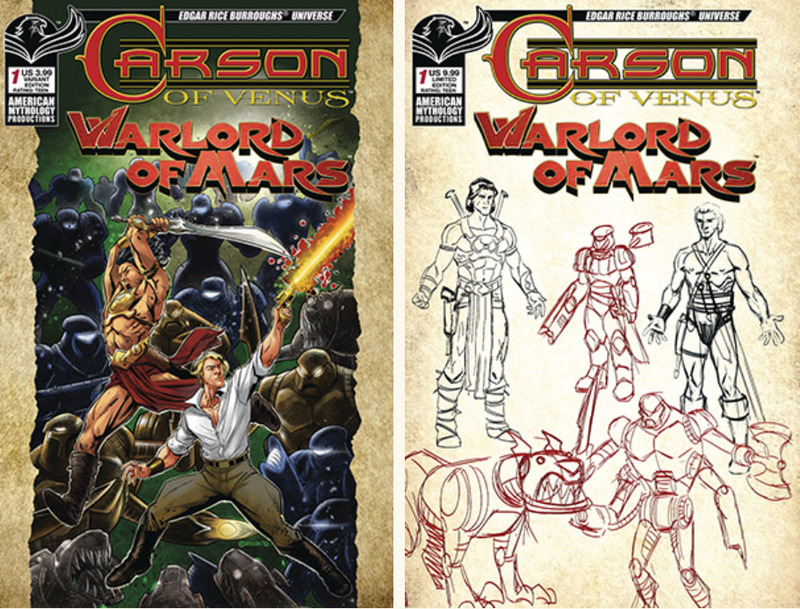 The Edgar Rice Burroughs® Universe comic book series from American Mythology Productions continues in Carson of Venus/Warlord of Mars: The Princess in the Tower! 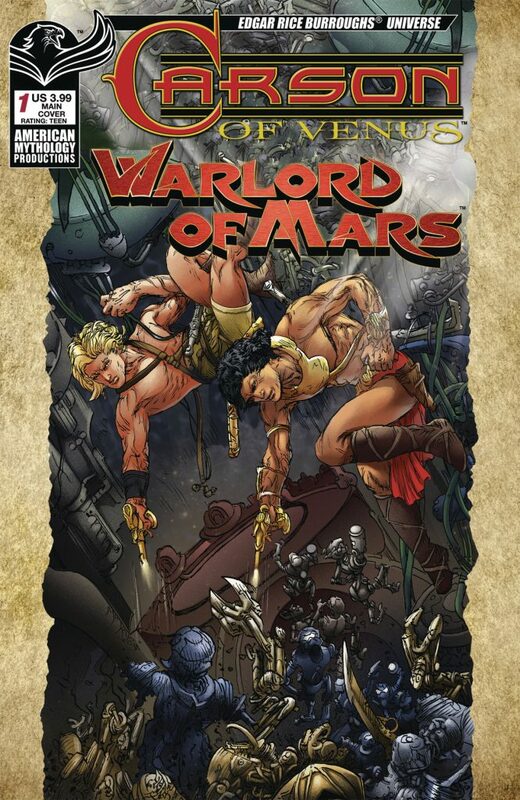 Don’t miss out on this special crossover event featuring Edgar Rice Burroughs’ two iconic Sword and Planet heroes! Join us for an epic crossover as two of Edgar Rice Burroughs’ classic sci-fi properties collide in this once-in-a-lifetime event! Carson Napier and John Carter find themselves embroiled in an alien scheme that pits them against a veritable army of deadly warriors, killer robots, and vile villains. With only their wits and skills to guide them, the unlikely partners face death on an unknown world far from their adapted home worlds. Fantasy and science fiction combine with incredible action and adventure to deliver the ERB event of the year! 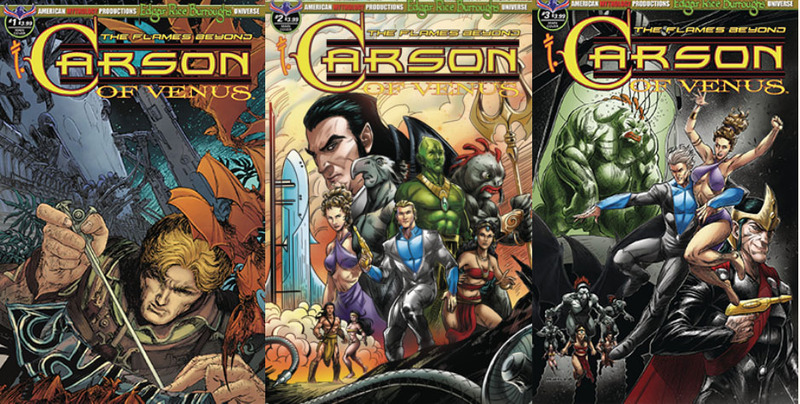 Keep up with all the Edgar Rice Burroughs Universe comic books American Mythology Productions, including the all-new miniseries Carson of Venus: The Flames Beyond!